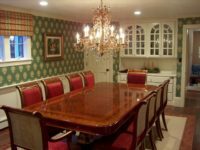 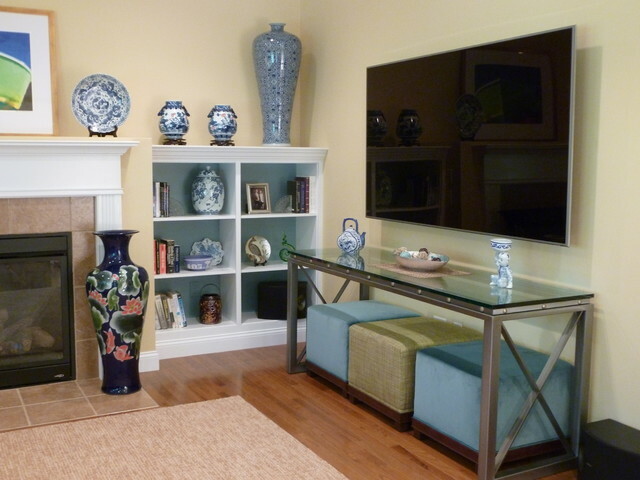 The flat screen hovers above a custom Kolka table of iron and glass. 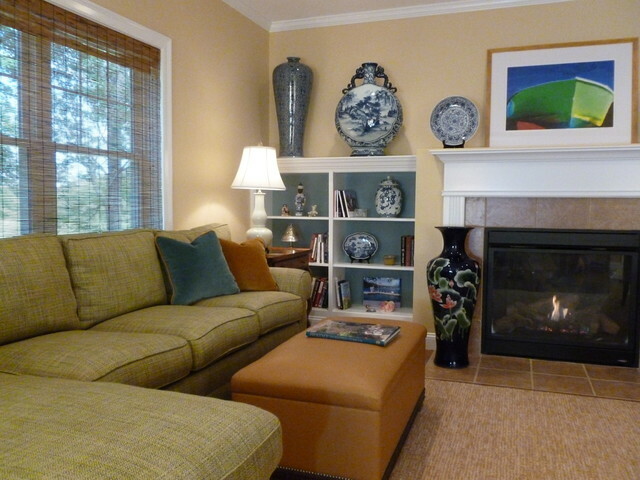 Three Kravet ottomans pull out for additional seating and game tables. 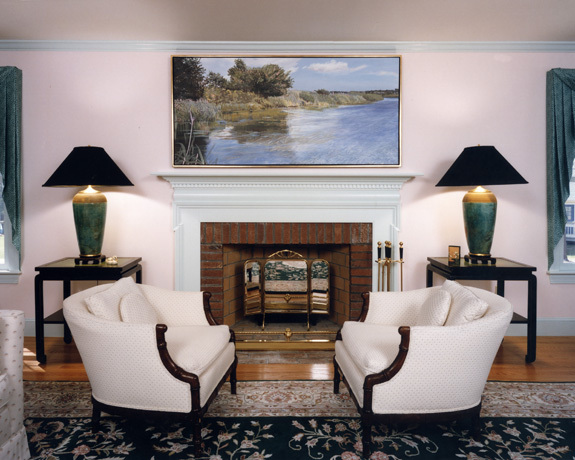 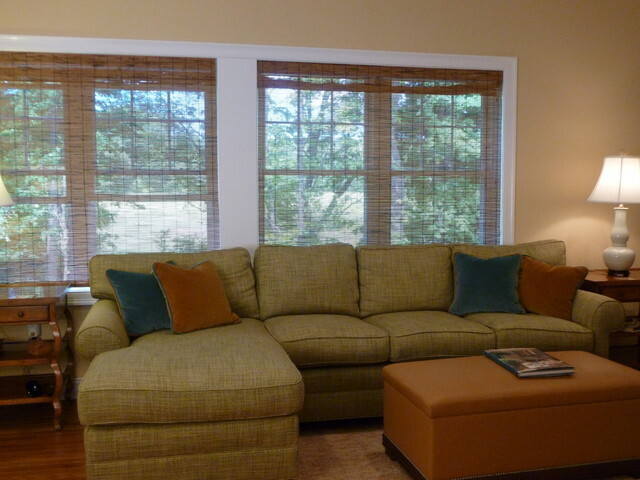 This comfortable family room is a gathering space for the whole family. 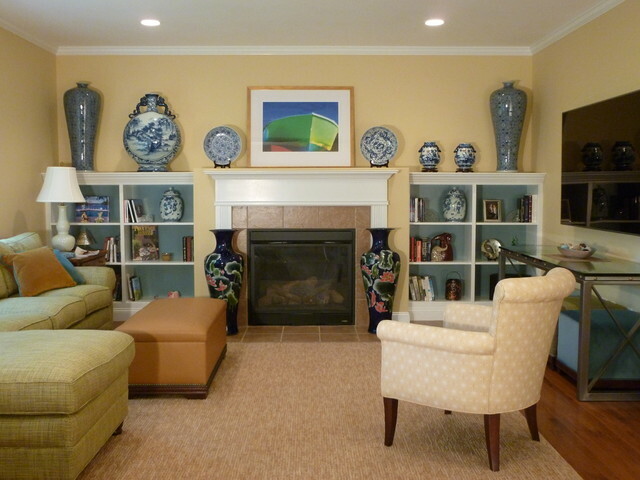 The green tweed sectional coordinates with the soft yellow walls and gold carpet. 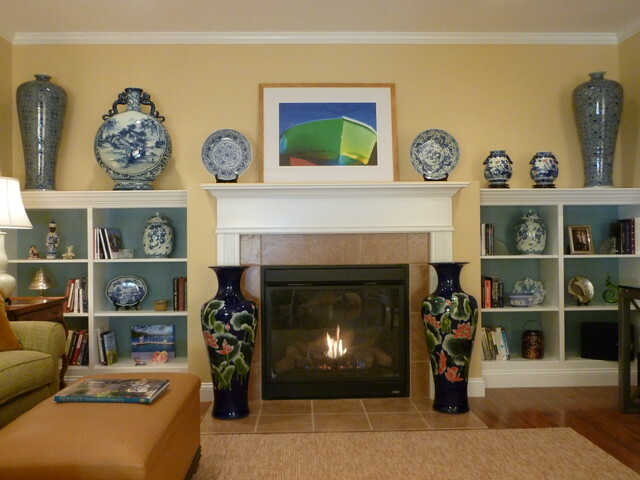 The fine Oriental pottery adds both color and personality.